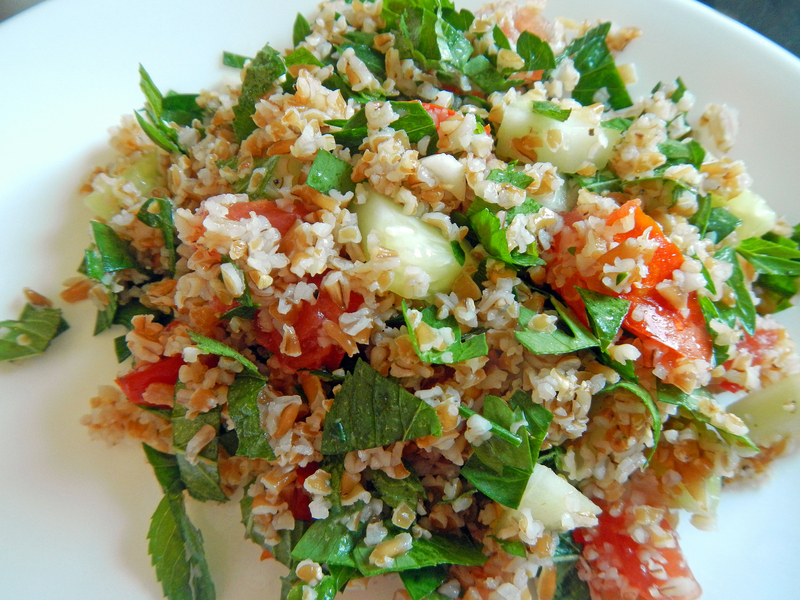 Delight in the Refreshing Taste of Tabbouleh! | Cook It Quick! This entry was posted in herbs, Local Foods, recipes and tagged alice henneman, bulgur, cook it quick, healthy cooking, herbs, nutrition, recipe, tabbouleh, tomatoes, wheat. Bookmark the permalink. This looks like a it would make a great addition to my “Summer of Salad.” Thanks for sharing! Thanks for adding to your Summer of Salad. It uses so many fresh summer ingredients! And, you can make it in the cool of the morning, then enjoy it that night! Enjoy! Pingback: Hear! Hear! for Fresh Herbs | Cook It Quick! Good for you for holding out for what you wanted when being served a salad!